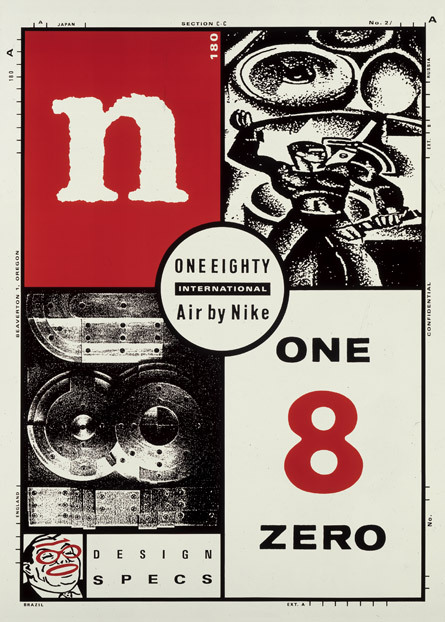 We were selected, along with Igarashi from Japan, Alfons Holtgreve from Germany, and Ralph Steadman from England (among others), to illustrate the number 180 for the Nike 180 Air shoe introduction. 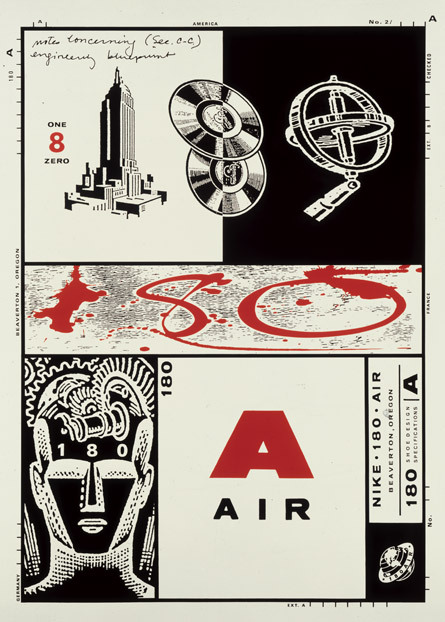 Used in a series of posters we developed for Nike in conjunction with Wieden & Kennedy Advertising, these images represent an evolution of our design approach which defies being labeled with a specific period or style. The poster ties in with an 8-page, double gate-fold ad insert that had a circulation of 45 million. Published in 4 languages, it was placed in practically every magazine on the planet, including Rolling Stone, Time, People, GQ, and Vanity Fair.